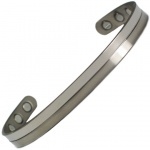 Titanium is 60% lighter than similar strength stainless steel, and it is compatibile with the human body. 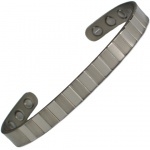 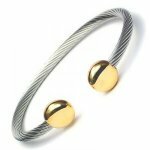 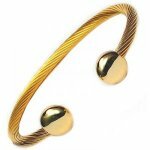 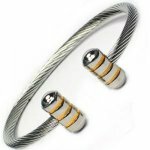 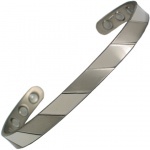 Titanium responds very little to electricity, heat and magnets, making it the perfect metal use in bio magnetic therapy bracelets. Titanium forms protective surface layers, which gives it excellent resistance to corrosive attacks by saltwater, sea air and certain acids, and it is capable of being submerged in water for long periods of time without sustaining damage or colour change.